Comments Off on We do contemporary too! We love the clean lines of this fireplace, it looked fantastic in this bright and airy front room. 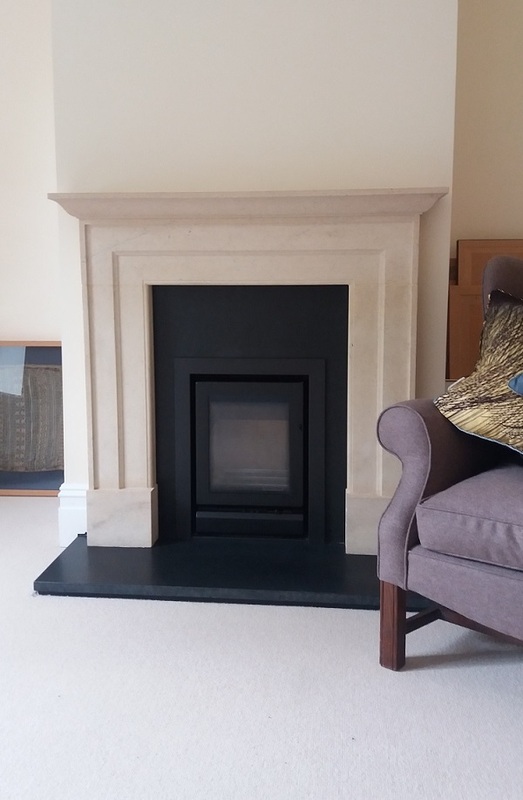 This fireplace is our Ashford design with a mantel, carved from Portland stone. The fire is an inset gas stove with black granite slips and outer hearth. ← Another trip to the Quarry….